Benjamin Franklin (and many other found fathers) have links to many places across London and the United Kingdom, listed below. Based originally at Rawthmell’s Coffee House in Covent Garden, Franklin saw the construction of the current building, designed by renowned Georgian architect Robert Adam in the early 1770s. In 1956, the society instituted a Benjamin Franklin Medal to commemorate the 200th anniversary of Franklin’s membership of the Society. The Society periodically confers the Medal on individuals, groups and organisations who have made profound efforts to forward Anglo-American understanding in areas closely linked to the RSA’s agenda. 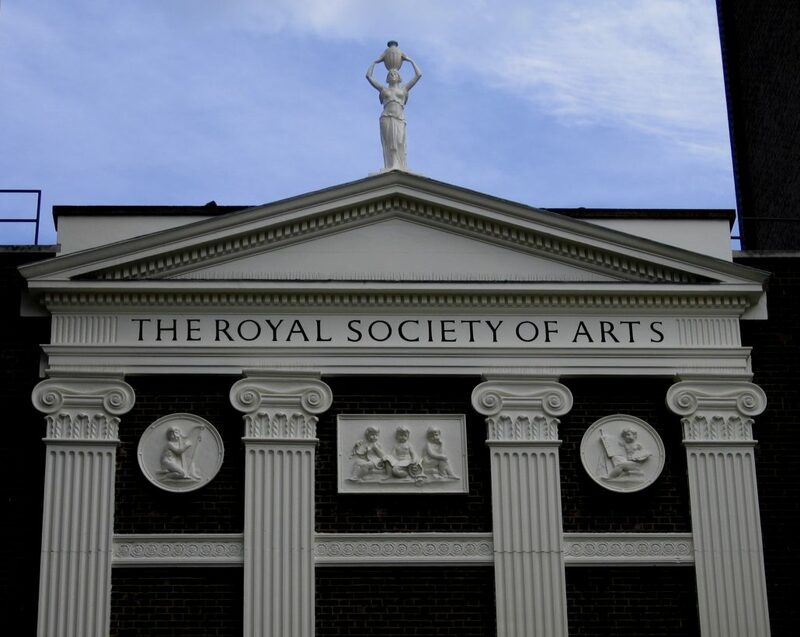 Distinguished members of the Society have included Karl Marx, William Hogarth, and Richard Attenborough. You can find the building a stone’s throw away from Benjamin Franklin House on John Adam Street, just behind the Strand. 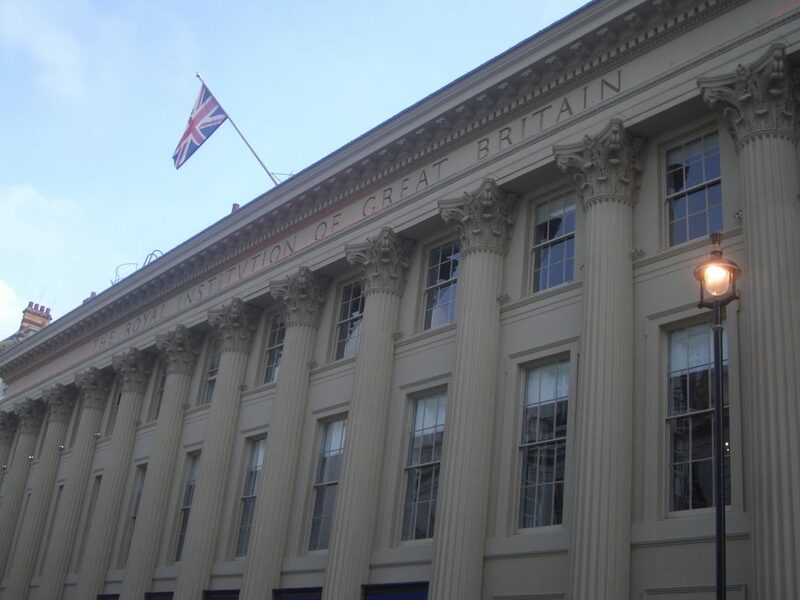 Members of the public can visit the Royal Institution’s Faraday Museum. On 19 April 1757, Benjamin Franklin wrote a letter to his sister Jane Mecom (nee Franklin), a week before he was due to set sail on his voyage to London. He said: “Direct your letters to be left for me at the Pensilvania Coffee House in Birchin Lane, London.” He gave these same instructions to various other colleagues, including Samuel Ward and Reverend Ezra Stiles. For a time during his stay in London he wrote letters to family and friends giving the address of the coffee house. 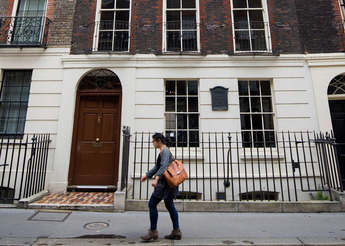 Though the coffee house no longer stands, you can wander down this small street in the heart of the City of London, the capital’s financial centre, retracing Franklin’s steps. Sulgrave Manor in Oxfordshire is the ancestral home of the Washingtons in Britain, and houses the largest UK collection of George Washington memorabilia demonstrating the British contribution to the origins of the USA. American Revolutionaries, such as George Washington and Benjamin Franklin proclaimed a ‘self-evident truth’ : that ‘all men are created equal and endowed by their Creator with certain inalienable Rights – including Life, Liberty and the pursuit of Happiness’. Lawrence Washington (born around the 1500s and George Washington’s great-great-grandfather), the builder of Sulgrave Manor, bought the Priory of St. Andrew, Northampton, from the Crown in 1539 following Henry VIII’s Dissolution of the Monasteries and turned it into Sulgrave Manor. The house was built of local limestone and the kitchen, buttery, Great Hall and Great Chamber, all survive and can be seen today. Georgian furniture and artefacts are displayed in their natural settings which suggest what the house looked like when it was inhabited by the Washingtons. Sulgrave Manor seeks to embody the shared heritage of both Britain and the United States and promote understanding and appreciation of the characteristics of both nations. In December 1771, Benjamin Franklin resided amid the beauty of Twyford House in Hampshire and wrote the first part of his autobiography there. 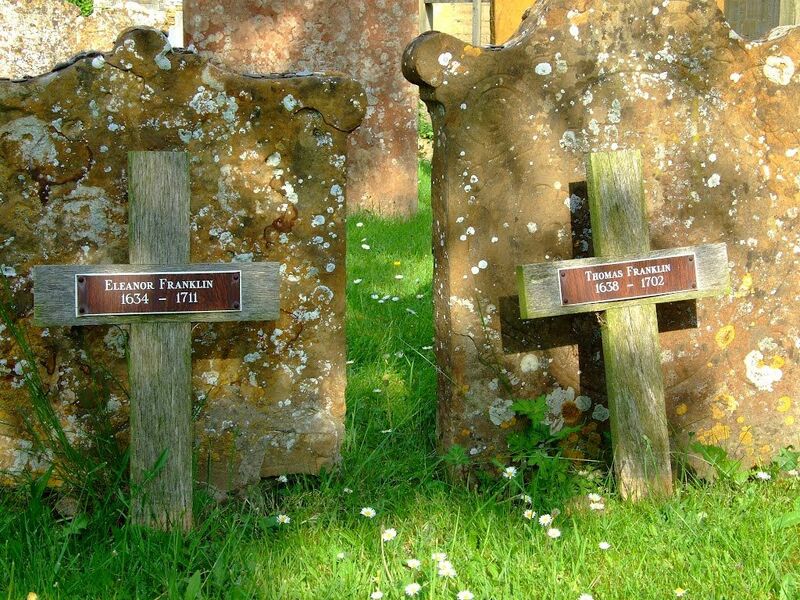 He was visiting the Bishop of St Asaph, Dr Jonathan Shipley – brother of his friend William Shipley, the founder of the Royal Society of Arts – who later advocated on behalf of the colonists during the American Revolution. 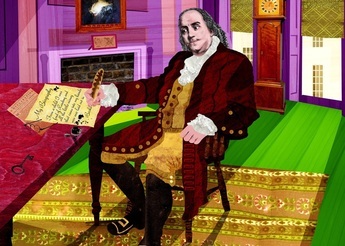 Benjamin Franklin was a member of the Lunar Society, a group of eighteenth century Enlightenment thinkers that included manufacturer Matthew Boulton, engineer James Watt, and potter and industrialist, Josiah Wedgwood. 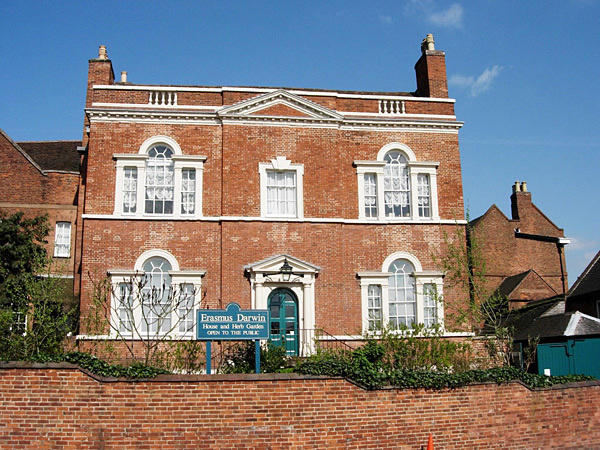 Another key member and Franklin friend was physician Erasmus Darwin. As with other members of the Lunar Society they exchanged ideas on many subjects, including language and phonetics, electricity and transportation. 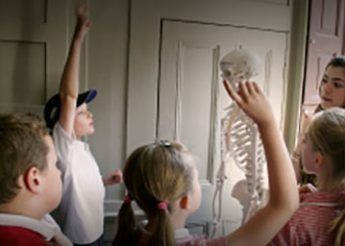 Presaging his famous grandson, Charles, Erasmus Darwin suggested the possibility of biological evolution with life descended from “one living filament,” and, in addition to science, he wrote poetry, and promoted the education of women and the abolition of slavery. 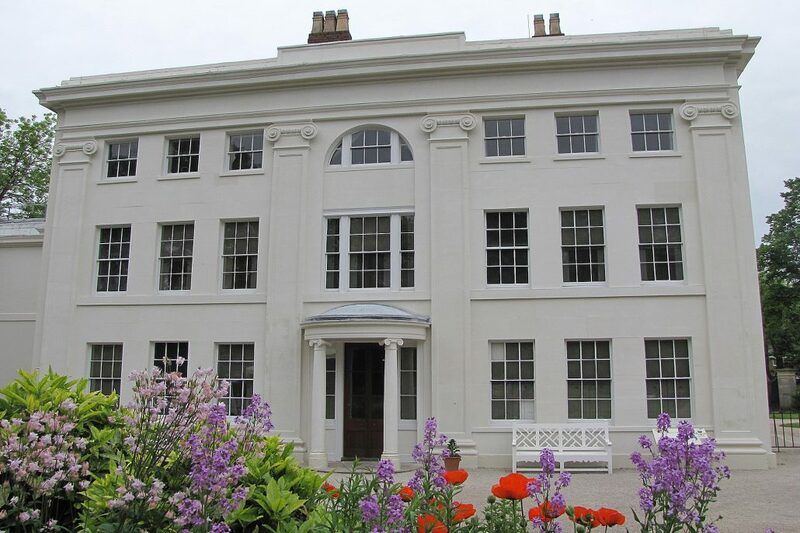 Soho House, located outside Birmingham, was for over forty years, home to Matthew Boulton. In a nearby building, Soho Manufactory, Bolton produced small metal goods. He eventually became business partner with James Watt, helping to perfect and market steam engines. 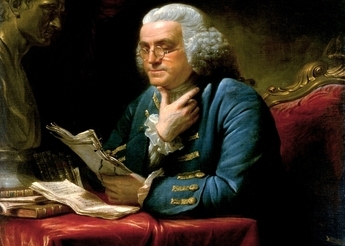 He shared Franklin’s interest in electricity, helping procure parts for Franklin’s experiments. 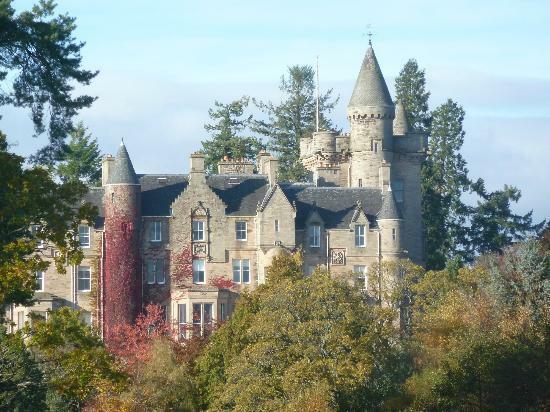 When Benjamin Franklin toured Scotland in 1759, he visited philosopher Henry Home, Lord Kames at his residence, Blair Drummond, for five days, sparking an enduring friendship between the two men. “It is always a great Pleasure to me to hear from you, and would be a much greater to be with you, to converse with you on the Subjects you mention, or any other. Possibly I may yet one day enjoy that Pleasure. In the meantime we may use the Privilege that the Knowledge of Letters affords us, of conversing at a distance by the Pen. Lord Kames is known for his contributions to sociology and anthropology, which derive from his studies, Historical Law Tracts and Sketches on the History of Man. The house Franklin visited was rebuilt in 1868 and again in 1921. The gardens today are home to a safari park. Our Director, Dr. Márcia Balisciano’s review of Louisa Thomas’ book.